One of the many unanswered questions surrounding Gurdjieff is when was he born? As he burned all his private papers and documents before going to America in February 1930, there can be no factual authentication. Many have taken 1877 as the date, since that is what appears on his passport. One biographer, James Moore, argues for 1866. He bases this largely on Meetings with Remarkable Men (pp. 40-41) where Gurdjieff remarks that "A year or two after he had moved from Armenia, all this wealth that my father had inherited was lost, as a result of a calamity independent of man . . . a cattle plague came from Asia and spread all over Transcaucasia." Gurdjieff then says that "I was then about seven-years-old . . ." Moore has evidence that in 1872-73 a rinderpest cattle plague developed in the area where Gurdjieff lived, and thus holds that Gurdjieff was born in 1866. 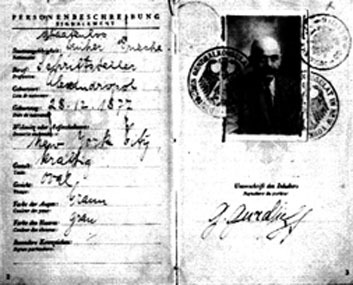 However, there are other factsgiven by Gurdjieff himselfthat put his date of birth at 1872. In Meetings the year 1888 (pp. 64- 67) is a significant year in Gurdjieff's life. It is then that he sees the Yezidi in the circle, learns of the evil spirit in the corpse of the Tartar, is accidently shot in the leg, has a "silent romance" with a girl twelve- or thirteen-years-old, begins to drink, and has the artillery range duel with Karpenko in which he comes to "the whole sensation of myself" (p. 205). If Gurdjieff was born in 1866, as William Patrick Patterson contends in Struggle of The Magicians, Gurdjieff would have been twenty-two years old when he fell in love with a girl nine to ten years his junior. This hardly seems likely. If born in 1872, Gurdjieff would be sixteen. Both dates are feasible, though logic tends toward the 1872 date. Further, we know from Meetings that Bogachevsky, or Father Evlissi, Gurdjieff's teacher, arrived in Kars in 1886, the year Gurdjieff's sister dies and he becomes interested in "abstract questions." Using Moore's 1866 birth date, Gurdjieff would be twenty-years-old when Bogachevsky arrived; if 1872, fourteen; if 1877, nine-years-old. Again, the 1872 birth date seems the more reasonable. 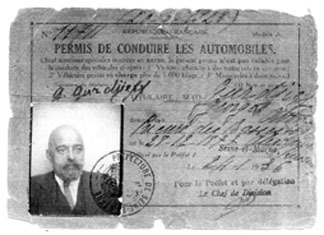 Further, Gurdjieff would be either twenty-two, sixteen, or ten years of age when he "dueled" with Karpenko. It's hard to believe that at twenty-two Gurdjieff would do anything so mad. Olga de Hartmann felt Gurdjieff was considerably older than the birth date of 1877 but was unable to prove it. As her passport gave her birth date as 1896 when she was actually born in 1885, she dismissed the 1877 date given on Gurdjieff's passport. Louise Goepfert March, Gurdjieff's secretary for many years, in an unpublished essay she wrote within a year of his death, "Gurdjieff: An Indication of His Life and Work," gives his birth date as 1872. J. G. Bennett has perhaps made the most intensive search into Gurdjieff's background. In his Gurdjieff: A Very Great Enigma (p. 8), he stated: "So far as I myself can make out from various sources, from what he himself and his family have told us, it does seem probable that he was born in 1872, in Alexandropol." Lastly, the first edition of All and Everything gave the year of his birth as 1872 on the dust jacket. In later editions, at his younger sister's insistence, the year was changed to 1877. So is Gurdjieff's birth date 1866, 1872 or 1877? Like so many other questions concerning him, there can be no definite answer.